Alfred received his legal education in England. He obtained his MA degree in Jurisprudence at the University of Oxford. Called to the Bar in England and Hong Kong in 1991, he has been in practice in Hong Kong since 1992. Alfred practices in a wide range of areas in the chancery and commercial fields. He advises on and acts in cases involving commercial law, land and property law, probate and administration, equity and trust, banking and finance, defamation and professional negligence. He also has experience in shipping and insurance matters and matters involving personal injury. Regent Summit (Hong Kong) Ltd v Smart Business (Asia) Ltd (CFI)  2 HKC 718 - Land Law. Requisitions on title. Purchaser informed of alteration to property before entering into preliminary agreement and requisition raised outside time limit stipulated in formal agreement. Whether there was waiver of right to raise requisition. Re UDL Holdings Ltd (CFI)  2 HKLRD 817 - Company law. In case of creditor’s winding-up petition, repeated adjournments since first hearing due to company's restructuring proposal. If majority of creditors opposed petition, whether their wishes would prevail if there were good reason(s) and fact that large number expressed in-principle support for restructuring was ipso facto valid and sufficient reason. Lam Suk Mei Heidi v Yip Yee Ming HCA 10471/1998 (17 June 1999) (CFI) - Trust law. Claim to title in property on basis of resulting trust in absence of presumption of advancement. Re Flesch QC & Anr (CFI)  1 HKLRD 506 - Fundamental guidelines and principles laid down for admission of overseas counsel under s27(2)(b) (now s27(4)) of Legal Practitioners Ordinance Cap 159. Ng Lung Sang Anita v Lam Yuk Lan (CA)  4 HKC 106 - Land law. Whether purchaser’s requisition required an answer only if it was formulated with reasonable precision without confusion and obscurity and whether O86 was available only in plain and obvious cases in which defendant clearly had no defence. Re: Estate of Wang The Huei; Wang Din Shin v Nina Kung (CA) CACV 1643/2001 (4 September 2001) - Administration of estate. Application by administrators pendente lite that defendant should provide written answers on oath to divers questions as well as documents relating to assets in estate of deceased. Whether court had jurisdiction to order such discovery. Ka Wah Bank Ltd v Bhagwan Shankardas Moorjain (CFA)  5 HKCFAR 313 - Banking and finance. Leveraged foreign exchange trading and relevant statutory provisions. How to calculate value of contract for currency purchases and distinguish between value of contract to purchaser and current value to bank. Chu Wo Heung v Hui Lai Wa (CA)  3 HKLRD 209 - Tort. In case of an fatal accident caused by fall of a metal pipe of an awning installed by operator of shop on premises managed by building manager under a deed of mutual covenant, whether building manager was liable in negligence and as occupier for accident. Mok Chi Chung v Mok Chi Hoi (CFI) HCMP 5255/2002 (12 February 2003) - Trust law. Administration of estate. Claim for vesting order pursuant to s45 of Trustee Ordinance Cap 29 against trustee in respect of property assigned to him by deceased upon trust for plaintiff. Chan King Sheen v K C Tsang & Co & Ors (CA)  3 HKC 209 - Civil evidence. Prerequisites of interpleader relief. Whether legal professional privilege could be invoked against party who had proprietary right in relevant documents and whether common interest privilege was meant to be invoked in relation to claim by third parties and not against person who was one of co-parties sharing same solicitor. Associated Engineers Ltd v Lo Chee Pui (CA)  2 HKLR 76 - Civil procedure and costs. Whether entitlement to automatic taxation under O62, r10(2) depended on whether there was acceptance of payment into court in accordance with O22, r3(1), which in turn depended on whether payment was made in accordance with O22, r1. Whether O22, r1 applied only to actions for a debt or damages, and in cases of mixed claims, payment into court was only in respect of claim for debt or damages and not other claim(s). Lee Tak Samuel v Chan King Sheen (CA)  1 HKC 507 – Estoppel. Whether, despite an order for return of documents to a party in previous proceedings, claim for injunction to prevent that party from recovering documents could be pursued in new proceedings in reliance on same arguments on issues of privilege and confidentiality when there was no new evidence on those issues. Chiu Chung Leung Edward v Lee Fu Wai & Ors (CFI)  4 HKC 65 - Administration in relation to deceased person. Where there was dispute over burial of a deceased person between next-of-kin, how court should approach matter when there were competing applications made by next-of-kin. Success Wise Ltd v Dynamic (BVI) Ltd (CFI)  1 HKC 149 - Civil procedure. Security for costs under s357 of Companies Ordinance Cap 32. What was requisite evidence for impecuniosity and whether and how court might exercise its discretion to order security where claim and counterclaim turned on same issues. Taiyo Kogyo Co Ltd v UBS AG & Anr (CFI) HCMP 1097/2006 (28 August 2006) - Trust law. Administration of estate. Claim for declaratory relief pursuant to ss52(1)(e), 52(5) and 57 of Trustee Ordinance Cap 29 that funds held in bank account of deceased were held by him prior to his death on trust for company of which he was president. Re Lucky Money Limited (CFI) HCMP 505/2006 (18 July 2006) – Company Law. On an application under s168BC of Companies Ordinance Cap 32 for leave to intervene in proceedings and to conduct defence on behalf of company, what were criteria for leave to be granted and whether it was appropriate for court to order applicant’s costs to be incurred in proceedings to be indemnified out of company’s assets and make an order as to costs of leave application at time when it dealt with leave application. Re Gold Pleasure Industrial Co Ltd (CFI)  4 HKC 398 - Company Law. Whether director's right of inspection of company’s accounts under s121 of Companies Ordinance Cap 32 survived presentation of winding-up petition and even appointment of provisional liquidators. Pai Chin Ming v Luo Xiao & Ors HCA 2693/2006 (25 September 2007) - Estoppel. Derivative proceedings. Whether party who signed receipts for purchase price in a conveyancing transaction, although purchase money was not paid, was estopped from by deed from challenging transaction. Chu Wai Chun Jackie v Law Siu Kei (CFI) HCAP 3/2009 (9 June 2010) Probate and civil procedure. In a probate action in which a daughter sought a grant of letters of administration in respect of her deceased father’s estate of and asked court to pronounce against an alleged will naming another person as executor, whether it was appropriate for that person to seek an order under O33 for trial of preliminary issue whether daughter was indeed natural and lawful daughter of deceased which potentially had knock-effect on daughter’s case. Nativivat v Nativivat (CFI)  3 HKLRD 747 and (CA)  4 HKLRD 340. Probate and administration of estate. Whether persons appointed as executors under will of deceased who had died domiciled in a foreign country, while probate proceedings were ongoing in that country, could commence an action on behalf of estate in Hong Kong, before obtaining any grant of probate. Whether such action was liable to be struck out or stayed in Hong Kong. Ng Yee Wah v Lam Chun Wah (CFI)  4 HKLRD 40. Company law. Scope of director to inspect documents of company at common law and under s121 of Companies Ordinance Cap 32. Whether there was any need for director to explain why inspection was sought, what were circumstances in which director’s right of inspection could be interfered with and whether exercise of director’s right of inspection was a matter of discretion for court. Re Loo Che Chin (CFI)  2 HKLRD 739 – Probate and administration of estate. Whether it would be necessary or convenient to pass over an executor and appoint accountant nominated by him in his stead where it was found that there was a complete breakdown of relationship and mutual distrust between him and some beneficiaries and there had been no effective communication between executor and some beneficiaries some time before process of administration of estate. Nanyang Commercial Bank Ltd v Nativivat  (CFI) 2 HKLRD 749 – Banking Law. Civil Procedure. Perquisites of interpleader relief. When summary determination was available in interpleader proceedings. How beneficial entitlement of funds in a joint bank account was to be determined and what was effect of a survivorship clause per se and to what extent it evidenced parties’ intention as to ownership of funds. Whether presumption of advancement as between parent and adult child was still applicable in Hong Kong, unlike some other jurisdictions, and in what circumstances it could be raised. Where funds were placed into joint account of aging parent and adult child, whether an inference of gift or resulting trust might be drawn. 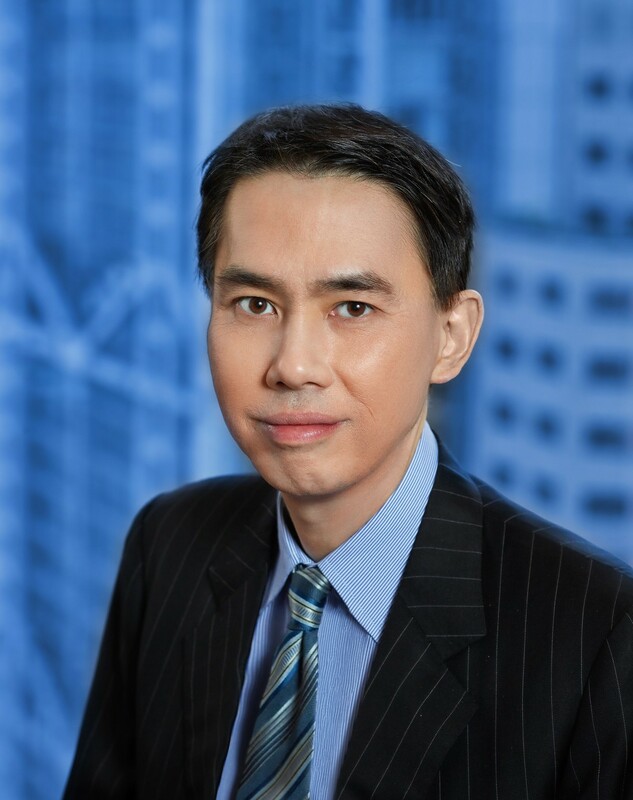 Contributing editor of Hong Kong Civil Procedure (“White Book”), 1999 to date.